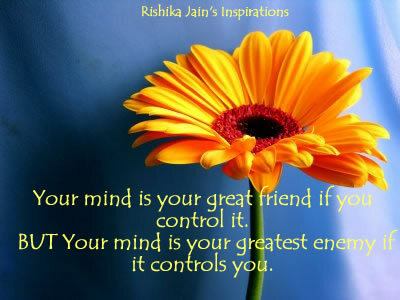 Your mind is your great friend if……. 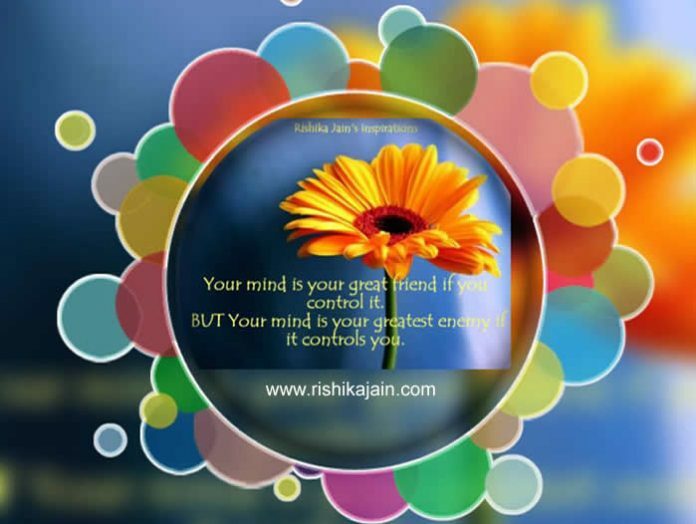 Your mind is your great friend if you control it…..But your mind is your greatest enemy if it controls you…..
You have 2 options in Life…..
1st – Accept… 2nd – Change . 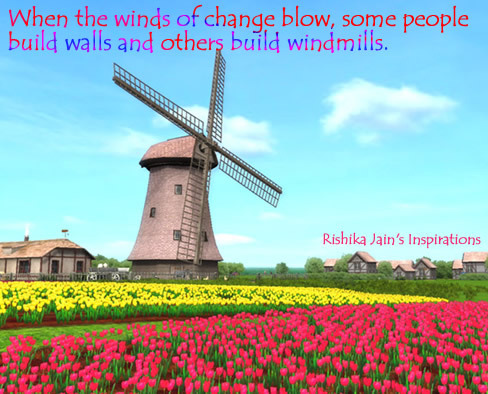 Try to Accept What you can’t Change …. And….. 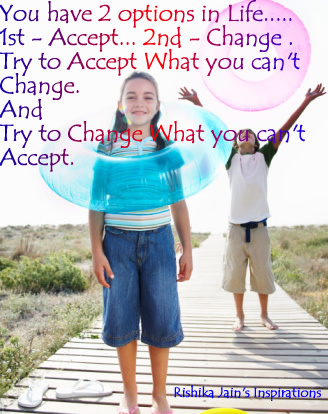 Try to Change What you can’t Accept. 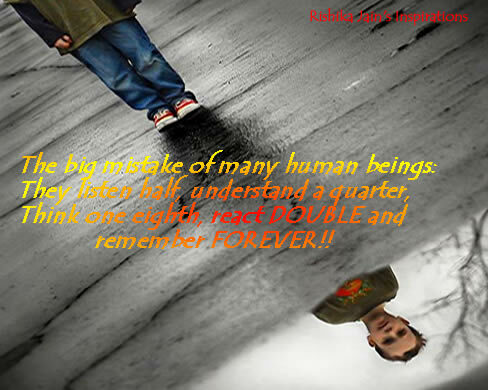 The big mistake of many Human Beings…. Think one eighth, react DOUBLE and remember FOREVER!!! God gives every bird its food…. 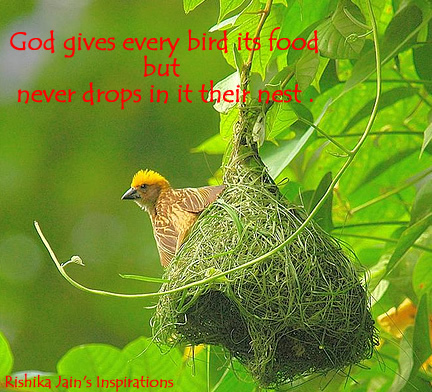 God gives every bird it’s food, But never drops it in their nest …. 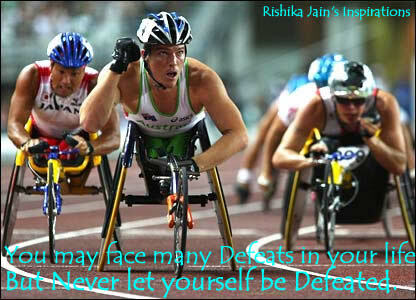 Never Let Yourself be Defeated….